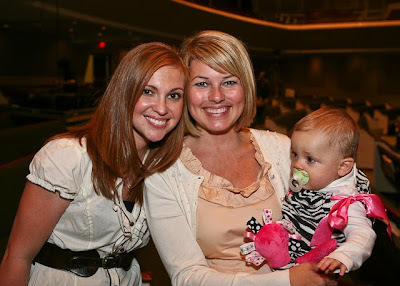 So y'all probably know by now if you read my blog - that one of my favorite people ever is Angie Smith. I loved her when I first was sent a link to her blog over 3 years ago and I read the words she wrote and I love her even more now that I know her as a friend and she sends me late night emails or texts that make me laugh so hard I'm worried I'll wake my girls up. The reason I like Angie so much is she is so real. She is probably one of the five funniest people I know. She has a genuine love for Jesus that makes you want to love Him as much as she does. She is one of the most gifted writers I know. God gave her an amazing gift and He gave it to her in His perfect time. 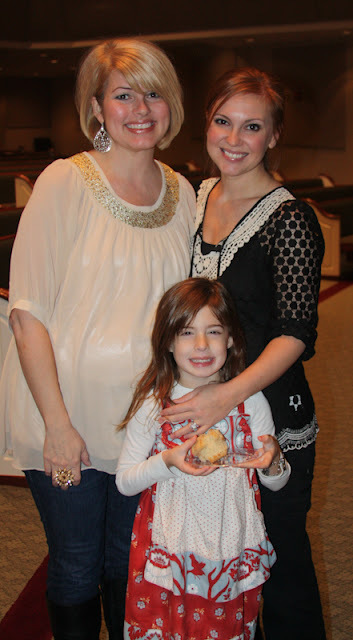 I know she didn't set out a few years ago to be a writer or a speaker with Women of Faith - but that's the path God has put her on and she is using it for His glory. She inspires so many women and yet she is the kind of girl you can sit at Sonic with and talk about shoes or hair or raising girls or you can cry talking with her about her HUGE heart for others or have deep spiritual conversations. Angie wrote a book over a year ago called "I will carry you" about the loss of her daughter Audrey. It's SUCH an amazing book and she has done it again. 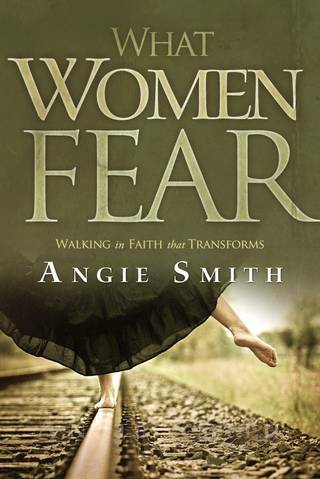 Angie has a new book coming out next month called "What Women Fear". I haven't read it yet (because it's not out yet) but I know that I know that I know that it will be amazing. And how many of you DON'T struggle with fear of some sort? I know I have had night sweats and bouts with gripping fear that cause my stomach to tangle up in knots. We as women are natural worriers - I can't wait to read what Angie writes (with I know words that God has given her directly) on this subject. The book comes out September 1st. BUT TODAY there is an exciting pre-sale through Barnes and Noble. Barnes and Noble has really supported Angie both for I Will Carry You as well as with What Women Fear and are doing an exciting one day pre-sale today, Monday, August 22. If you pre-order a copy today at http://www.barnesandnoble.com/WhatWomenFear you will get 50% off, so the book is only $7.49. In addition, if you order the book today at Barnes and Noble online, email your order confirmation to whatwomenfear@gmail.com to be entered in two prize packs of 10 books from B&H Women (http://www.bhwomen.com) and a $25 Barnes and Noble gift card. $7.49????? Are you kidding me? That is a great deal. Buy one for you AND your mom or BFF!!! I adore this girl and I want you to love her too! Reading what God has put on her heart will I KNOW draw you closer to Him and help you understand your fears. I hope you will get Angie's book and get one or two or three to give as gifts. And you need to get it today while it's such a great deal!!!!! !